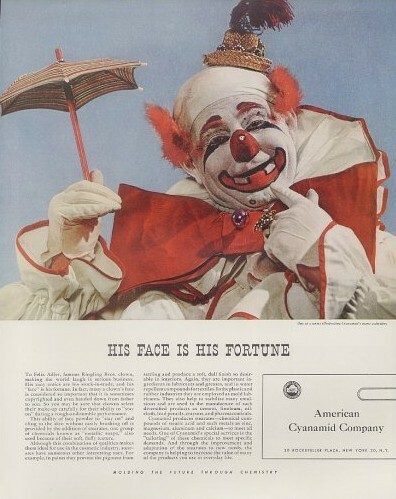 This week's bundle of retro joy is a 1940s advertisement from the American Cyanamid Company. Its consumer division use to manufacture cosmetic and grooming products. American Cyanamid is no longer around, having merged with American Home Products in the 1990s, but for awhile it was involved in various legal battles concerning chemicals and environmental waste. Given the image on this ad, it's no surprise they had a history with toxicity.